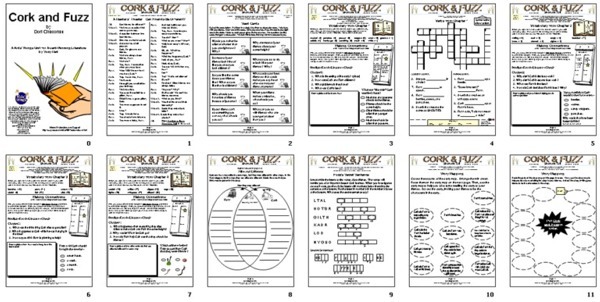 You can purchase the 30-page combination unit for Squirrel's World and Cork and Fuzz Are Friends by Dori Chaconas for immediate download for only $9.95! Click Here to purchase and download! "'Squirrel was busy, busy, busy. He had to help his friends." A clever picture book about a day in the life of super-busy Squirrel who is dedicated to helping his three friends, Mouse, Turtle, and Rabbit. In his excitement, Squirrel overdoes his help and creates funny situations. His friends are patient, so in the end, everyone goes to sleep content. You can purchase the 30-page combination unit for Squirrel's World and Cork and Fuzz Are Friends by Dori Chaconas for immediate download for only $9.95! A 14-page unit, perfect for lesson planning and handouts or projection on your SmartBoard for Squirrel's World by Lisa Moser is now available!